Deciduous small tree. 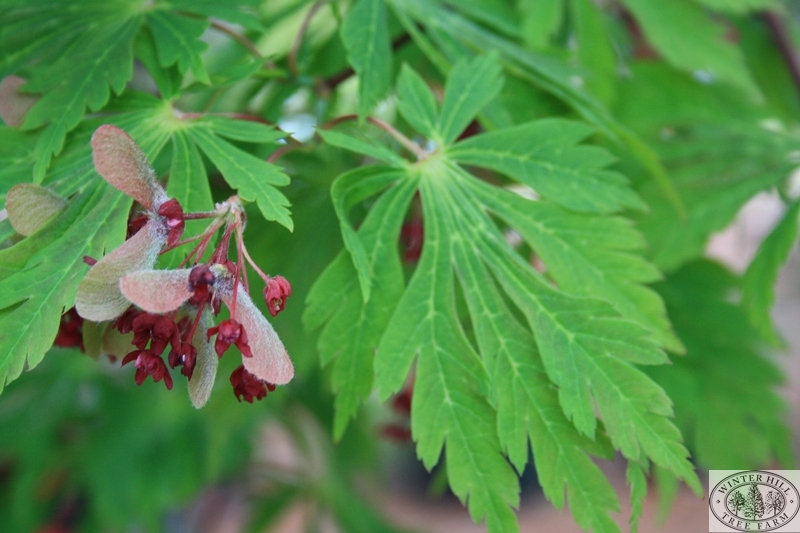 Also known as Acer Filicifolium. The large leaves are deeply cut and divided, soft green, turning rich crimson in autumn. Flowers are red in drooping clusters. Prefers moist, well drained position, sheltered from hot winds. Colours best in cool climates. A truly spectacular maple.